1. Tell me a little about your business. Commercial Photographer for over 15 part time and 1.5 years full time now. Specializing in head-shot’s, Real Estate listing photos, web content, Product Photography and much more. 2. What is the most important thing you want people to know about your business? 3. What makes your products and services unique? With over 25 years of photography experience I have the knowledge to capture the photos you’re looking for. 4. What were some of the early successes and/or challenges in the business? Early successes we have had are with corporate clients for head-shot’s at their location. Such as doctors offices, Real estate offices, ECT. This has been been by far our most utilized product. 5. 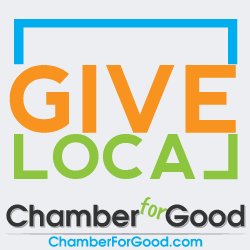 What do you perceive as the benefits you receive from Chamber membership? Getting to know fellow business owners in the community. Then also utilizing their talents to help each other grow as a business. 6. What advice would you give to a new business owner of someone who is considering starting a business of their own? It’s a lot of hard work starting a new business and working for yourself. However, the benefits of working for yourself is so much more rewarding than you would ever think. Also, if you have passion for what you love, take it and make it your livelihood and never look back. If I can do you can do it! 7. How do you see your business evolving over the next several years? In the near future we will have an office/studio space. Then the future beyond that will involve bringing a sales staff and photographers to grow the brand of Chad Baker Photography. Photography (of course), hanging out with my wife and kids, traveling. 9. How do you give back to the community? I volunteer my photography with many non profits from WAAA (autism awareness), Tigard and Tualatin Chambers of Commerce, and many many more in the local area. 10. How does your business give back to the community? In the same way as I give back with donating my time and photography to many non profit groups in the area.